I've been doing radio since 1982. Sometimes in this business a window of opportunity opens and you have to jump through. Well, that's tomorrow. Megadeth's Dave Mustaine at 9:45. To know the huge role he's played in much of the metal you've heard in the last 30+ years is to realize that we will not ever talk to a more influential artist ever on our little show. I just finished his 2011 self-titled biography and as I'm closing the book's final pages I'm realizing that this guy is just like me--and probably you in some ways. His life's work is an exercise in overcoming a self image issue, and working through, over and around obstacles that you mostly put up on yourself. Despite his huge success and artistic vindication, he wears a competitive grudge against the members of Metallica that fueled his work while simultaneously preventing him from fully enjoying it. Until later. Just like us, Mustaine finally begins to realize what is truly important. Things like working to live, not living to work. He finally finds balance between the work, the life, the family and the devil. It's where we all want to be. So I feel like I know him already, but can't wait to get to know him. I guess the answer to my question is, "Welcome to Tomorrow." Megadeth will be at the iWireless Center on Friday, October 7th. 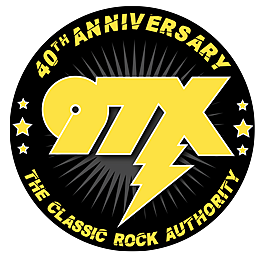 You can buy tickets online or keep listening to 97X for your chance to win!